There was a time when all you had to do to rank for Google and other major search engines was to purchase a bunch of backlinks for your website. There was also the time when “good content” meant taking a handful of related keywords in your niche and making sure you slap those keywords on every single sentence of every paragraph. Sure, it did not make sense from a user’s point of view, but it did from a bot’s perspective. Today, as is the nature of technology, the World Wide Web has evolved. Search engines have developed from a mindless bot that crawls webpages looking for certain keywords to more of an A.I. that can detect whether your website is something valuable for end users. And this change can make or break a business, especially for entrepreneurs who use the internet to promote their products or services. We are here to make sure this doesn’t break your business. Link building is basically getting another website to link to yours. The more links you have of a higher quality going to your website, the better your website will rank for the keywords that you wish to rank for. For the search giant to mature from its early days as a simple crawler to a more intelligent engine that can detect quality, they have to continuously update their algorithm. Google Penguin, an update that rolled out in 2012 and continues today, evaluates the quality of links that lead to your website. This algorithm made it impossible to manipulate links for an easier way to boost ranks in the search engine results page (SERPs). In fact, it affected 3.1% of queries and dropped a lot websites from the SERPs. From then up to today, Google Penguin looks at the authority of your links based on the following: where it’s posted, how it’s posted, as well as its value and relevance to your site visitors. 49% of small- to medium-sized businesses employ link building tactics, as it helps them effectively compete online against bigger brands. Enterprise-level clients make up 21% of link building work, and it is projected to increase in the coming years as owners realise the power of the internet. 36% of SEO work and time are focused on link acquisition. Content publication or promotion (e.g. guest posting) remains as the top tactic for acquiring links, with 90% of link builders saying they do it. United Kingdom is 5th out of the top seven countries for guest posting. Search drives 10 times more traffic to websites than social media. Link building has seen its fair share of critique and controversy over the years. However, it remains as one of the most powerful ways to promote your business online. In fact, no website can rank for a keyword that will bring in business without links. Let us repeat that: Your website will not be able to bring you leads and sales if you do not perform link building on it. 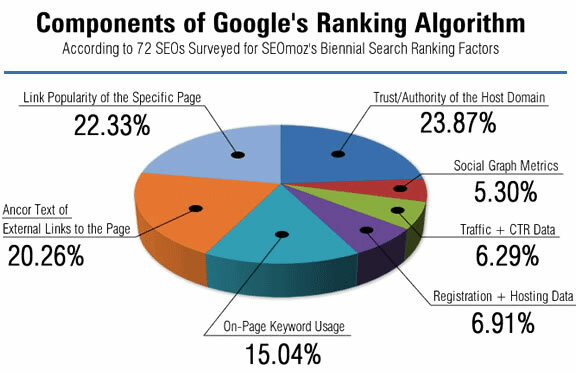 Did you know that the link popularity of websites makes up 22.33% of the total of Google’s algorithm? When Google sees your site as valuable based on the quality of links going back to you, your rankings will consequently increase. As such, a potential customer who goes online and searches for a business in your industry will have a better chance of going to you rather than to your competitor. Guest posting puts your name out there, especially when you get your content published on high-ranking publication sites. Think of it as improving your street cred. It increases your authority as a business owner. It establishes you as an influencer in your industry. Based on the way the internet runs today, you will find out that quality trumps quantity. It does not matter if you get a huge amount of traffic when that traffic is not relevant to your business. What matters is getting the right kind of traffic. Link building allows your site to be seen by the right people—your target market, people who will convert to leads and to full-blown customers. If you keep creating quality content, you are boosting the reputation of your brand as someone that can be trusted. Think of a lot of viral articles you’ve read in the past. High-quality content gets shared. High-quality content gives readers the impetus to link out to your article without even asking. When you do guest posts, you are telling everyone that your brand has the know-how to answer specific topics within your industry. It helps you establish meaningful connections and relationships. Effective link building is based on knowing how to reach out to relevant people online. Genuine communication is key. More than the link you will get out of it, you get to meet and establish connections with colleagues, thereby expanding your network and fostering camaraderie with other professionals. We will be honest with you: link building is hard work. It requires time and effort; resources that you may not have, given the amount of hours you are already investing in running your business. However, we believe that you need to see link building and outreach as a continual investment. It is not simply doing it once and then leaving it. This is where we can give you a helping hand. We will create content, guest posts, and build links for your website on an ongoing basis depending on your needs. This service will help improve your search engine rankings and increase both leads and sales for your website. Think of link building and content as the two links to a chain that will pull up a website’s rank on Google. Without the other, that chain will break and your site will fall. Search remains to be the top traffic driver to websites. If your customers do not see you when they go online, this will potentially hurt your bottom line. For years, we have been building links for clients from different industries. We understand the hesitations and concerns a business owner may have: Will I get links for my industry? Will I be able to compete against bigger competitors? At Harrison Mann, we make sure that, regardless of your industry, you will get quality links and quality content to help increase your leads and sales. Creating resource pages on your site. Expert roundups or content that seeks experts’ opinions on a given topic. Listing your site in high-quality, credible directories. We will build up the authority of your brand by guest posting on highly targeted websites within the business sector that you operate in. For instance, if you sell men’s clothing, we will target websites within the fashion sector. Since 2005, interest in guest blogging services and strategies has increased by 112%. The number remains at an all-time high year on year from 2013 up to today. While Google cannot actually read the content on your site, it does rank pages based on its authority. The higher authority signal your page or site gives, the higher they rank on Google. 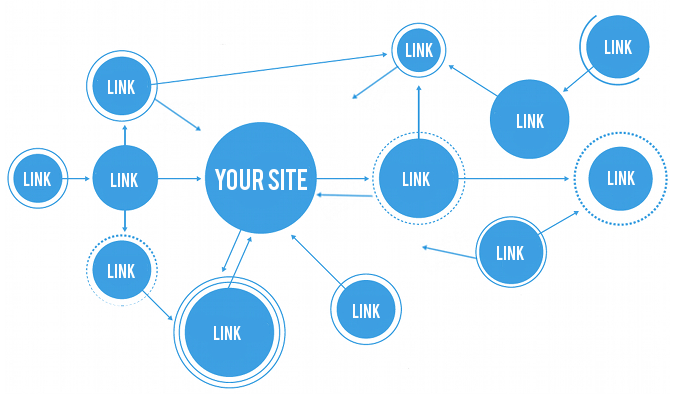 Building links is one of the signals that boost the authority of your webpage. When you get your content placed on quality websites, it tells Google that your website has something to offer for your visitors, hence giving you a better rank. We put emphasis on the quality of our links. We do not just submit content on websites for the sake of showing you that we can do it. We make sure that the links we provide are respectable (people actually trust the website) and relevant (the blog should be related to your business). We understand the critical role link building plays in your site’s web rankings. As such, we make sure that we have the right tools and experience to provide you what you need. You may have noticed us mentioning content over and over. That’s because link building for the sake of ranking does not work anymore. What works nowadays is partnering link building with useable and valuable content. Without quality content, it will be a Herculean effort to build links that will be of any worth to your business. Your site may even be penalised by Google. Online publications with high authority and a massive amount of following are not in the dark when it comes to guest blogging tactics. They know that some authors reach out to them just for the links. Hence, they have started to crack down on guest bloggers that post content with little value to readers on top of all the spammy links included. It’s understandable that publications would want to keep the integrity of their website as a source of information. Over the years, it has become increasingly harder to get links from authority sites. This is why we also focus on creating linkable assets on your website. In this world of stricter publication rules and standards, we aim to provide high-quality content on your site that will educate and inform the readers. This comes in the form of blog posts, infographics, and resource pages that people want to link to. We also outreach to influencers who may be interested in your content to make them aware that you have content up on your site that will help their reader base. We make sure that the content we provide is original, engaging, and well-written with accurate research. We also know how to make our content visually appealing, as well as formatted in a layout that is friendly to the eyes of online readers. This will be the beginning of your brand being recognised as a go-to resource for valuable information. Our goal here is to provide the kind of service that our clients would be happy with, and we do like it when our previous clients do the convincing for us! We do not want you to go through all the trouble of creating your website only for it to not gain traffic and, in turn, fail to give you your ROI. We know that Google aims to improve the relevancy and usefulness of their search results page for the end users. And it is our job to translate that into tangible results that your business will benefit from. We have worked with a lot of clients in the past that span a wide variety of industries. Some of the industries we have previous experience working with include legal, accountancy, law, construction, tradesmen, hair and beauty, travel, interior designers, window and conservatory companies, taxi/car for hire, e-commerce websites, medical, dentistry, opticians, Hotels/B&Bs, among many others. As you see, whatever industry you are in, you have our assurance that we can work with you and provide whatever it is that you need. We understand the unique needs of each business, so we make sure to use strategies that would best fit yours. We use a broad range of tools so we can provide the right data needed for better link building. We have tools for competitive links, proper prospecting, blogger outreach tools, and backlink data tools, among many others. We are not in the business to dupe you out of your investment. We will let you in on the process of how we acquired your every link—from prospecting to emails we send for outreach to how we measure the results. Gaining your trust is one of the first things that we aim for. We believe that we will be able to successfully work together if you know that you are hiring the services of a link building company that you trust. Search engines constantly update their algorithms to provide the best results for end users. This will not be a problem for your business. Our team makes sure that we stay on top of industry news, so we can adjust in the event of another update that comes. We abide by rules and guidelines set by search engines, so we can build links using strategies that will boost your site traffic both in the short- and long-term. We care about your business reputation. We care about your website. We want to help you generate leads and sales that you will be happy with. As such, it is part of our core values to only adhere to ethical link building strategies. We do not pay to have links placed on high-traffic sites, nor spam comments and forums, nor bring your site to questionable online directories. We do not perform any action that would bend the rules of search engines. We believe that these actions could result in your website getting penalised; hence, our strict accordance to providing white-hat link building services. Link building, guest posting, digital PR, or blogger outreach – call it what you want – but all of these services are geared towards doing the same thing: getting links to your website in order to improve your search engine rankings. If you want your website to rank for a keyword that will bring in business, you cannot achieve that without the necessary links. Harrison Mann will provide you with a total hands-off solution: from prospecting, to doing the outreach, and to creating the content. Link building, for us, is all about generating real natural links from amazing content. Every projects starts by understanding your company, competitors, existing links, and potential websites to target. We will also look to come up with a range of content ideas for your website depending on what you require. Our link building process is designed not just to create more high-quality links to your site, but to also drive traffic from these sites to come to yours from the links that are placed. Increasing organic traffic through higher rankings. Increasing direct visits to your website content. Building relationships with industry influencers and bloggers. We formulate the best approach for your link buildings goals and discuss them with you before moving on to the next step. Depending on the research, we then go on to either of these two: 1) compiling a list of websites to outreach to and specific content ideas for each of these sites; or 2) creating content ideas for your website which we can use to create inbound links to your website. There are two ways we measure the value of a link: through Domain Authority (DA) and Trust Flow (TF). DA measures the strength of a website on a 0 to 100 scale based on 40 signals, such as linking root domains and number of total links. TF, on the other hand, focuses on the incoming links to your website. This is the most important factor. Together, we will be able to find a list of prospects that will pass both DA and TF standards. As for your site’s content, our team will come up with topics that your visitors will find engaging and informative. These content assets – be it in the form of infographics, blog posts, or resource pages – will be created with your readers in mind. We will make sure to write them in a way that your readers will be able to relate to, whether your brand has a formal or a conversational tone. We will make sure that the content we provide – be it for guest posting or for your site content – will prove to be a valuable resource for readers. Once we have the content created and have received your approval, we do one of two things: 1) Place it live on your website and outreach to influencers to make them aware of it; or 2) We outreach to website owners about guest posting on their website with a range of ideas. Once they have agreed on a topic, we create the content and send to the website owner for publishing. Forum and blog comments (these help diversify your anchor profile). Recovering any of your dead backlinks. Turning any mention of your site/brand into a backlink. Our link building process is based on a blended approach and each client undergoes a link audit before we commence any work. 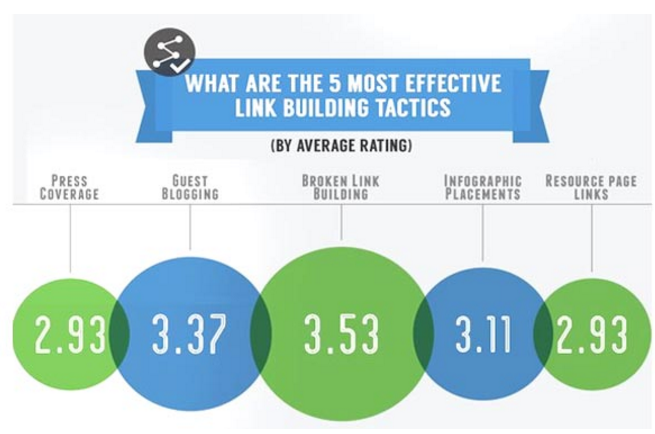 Each link building strategy focuses on quality links, not spammy ones. We build links that will send traffic to your website as well as increase your brand’s authority in Google’s, and other search engines’, eyes. Given the uniqueness of each industry, we will make sure to set realistic expectations of the number of links we can provide for you. We focus on providing high-quality link building services that will bring in more traffic for you, both in the short- and long-term. Our costs depend on your industry and circumstances. If you wish to increase the traffic of your website in a way that is done ethically and with the highest standards, then our team at Harrison Mann can do that for you. For content creation on your website, blogger outreach services, and the best link building service in the UK, please contact us to discuss your needs.